A frenectomy is a frenum removal surgery performed to create a wider range of motion at the surgical site. A frenum is the muscular tissue that attaches two neighboring areas of tissue together to reduce excessive movement. While there are a variety of frenum in the body, there are several that occur in the mouth that can cause issues with chewing or speaking. Although frenum are supposed to inhibit excessive motion, some patients experience such a short range of motion that daily activities such as eating or talking may be negatively affected. In some cases, an overly restrictive frenum can even cause pain or discomfort. These frenectomy surgeries are designed to safely correct an overly restrictive frenum. A frenectomy may help relieve oral pain, enable a patient to chew more efficiently, and help a patient to speak more easily. A frenectomy should be considered if a restrictive frenum begins to negatively impact daily life or causes difficulty performing everyday tasks. Our oral surgeons are highly trained professionals with years of experience in diagnosing and treating overly restrictive frenums. There are three different variations of frenectomy surgery, including labial frenectomy of the upper lip, labial frenectomy of the lower lip, and lingual frenectomy. The upper labial frenum is the band of tissue above the middle of your two front teeth that joins your upper lip to your gum line. Problems with the upper labial frenum often occur in children as their teeth and gums continue to develop. If this frenum is too short or restrictive, certain medical conditions may arise. For instance, a diastema (gap in between the front teeth) may form if the frenum tissue extends too far towards your teeth. In addition, receding gums are possible as a result of a shorter frenum. An overly restrictive frenum may also make it difficult or impossible to fully close your mouth. This tends to cause children to breathe through their mouth, which hinders the development of nostril breathing. A labial frenectomy of the lower lip is commonly performed to correct periodontal issues such as receding gums, diastema, and other conditions that can negatively impact the functionality of your lips, mouth, or teeth. A labial frenectomy of the lower lip is often performed in patients who are being fitted for dentures. Frenum are often removed in patients receiving dentures because the frenum of your lip moves in conjunction with your lips, dislodging and reducing the stability of dentures. With a labial frenectomy, your dentures will be securely placed, and the risk of them becoming dislodged is greatly reduced. A lingual frenectomy addresses the lingual frenum, which is the tight band of tissue that attaches your tongue to the base of your mouth. In cases of a healthy lingual frenum, patients experience an adequate range of motion when it comes to the tongue. With an unhealthy lingual frenum, the frenum is often too short or restrictive, making eating and speaking more difficult. If the tongue is held too low because of a restrictive frenum, the proper growth of the jaw can be hindered, which may result in future orthodontic problems and even sleep apnea. In severe cases of an irregular lingual frenum, the frenum may extend to the tip of the tongue, severely limiting the mobility of your tongue. A tight or short lingual frenum may even cause a lisp or ankyloglossia (tongue-tie). What are the symptoms of ankyloglossia? Ankyloglossia is the term given to define being tongue-tied as a result of an irregular lingual frenum. Ankyloglossia can cause children to suffer problems when it comes to eating, speaking, or even swallowing. 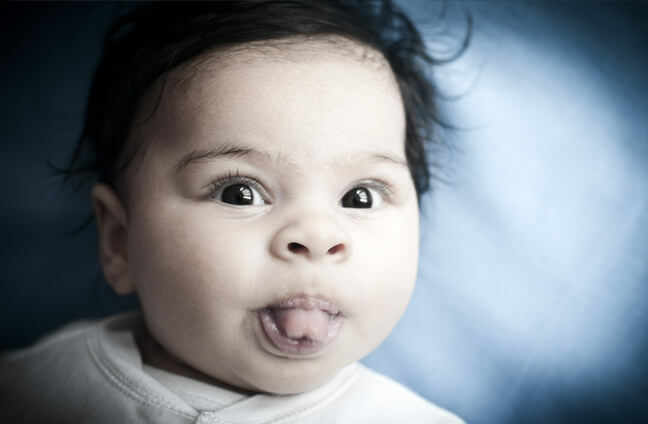 The condition of being tongue-tied may even interfere with your infant’s ability to properly breastfeed. A frenectomy surgery can be performed a few different ways, but each frenectomy procedure is designed to be minimally invasive and have a short recovery period. In some frenectomy surgeries, the frenum may simply be cut to increase the range of mobility of your tongue or lips. A topical anesthetic or, in some cases, laughing gas may be used to reduce any discomfort during a frenectomy. In other frenectomy surgeries, the entire frenum may be surgically removed to grant a full range of motion to your tongue or lips. Finally, some frenectomies are performed through laser surgery to reduce post-procedure discomfort. How do I know if I should undergo a frenectomy procedure? Some patients choose to undergo a frenectomy procedure for cosmetic reasons, such as an overly prominent frenum or diastema. On the other hand, if you or your child suffer from difficulty chewing, speaking, and swallowing, a lack of motion of the tongue or lips, or discomfort, then a frenectomy may be right for you. If it is predicated that an overly tight frenum may cause future orthodontic problems, our oral surgeons may also recommend a frenectomy. How long is the recovery period of a frenectomy? Because a frenectomy is a minimally invasive and simple procedure, the recovery period is rather short. Your individual rate of healing will also depend on which type of frenectomy procedure you have and what you are having treated. Most patients feel well enough to return to their daily activities almost immediately. Over-the-counter pain medications may be suggested to reduce any post-operative discomfort. How can I find out more about a frenectomy procedure? For more information on a frenectomy procedure, please contact Staten Island Oral & Maxillofacial Surgery to schedule an appointment with oral and maxillofacial surgeons David Hoffman, D.D.S.,F.A.C.S., Lydia J. Lam, D.D.S., Steve Yusupov, D.D.S., M.D., and Mark Stein, D.D.S., M.D. at 718.226.1251.